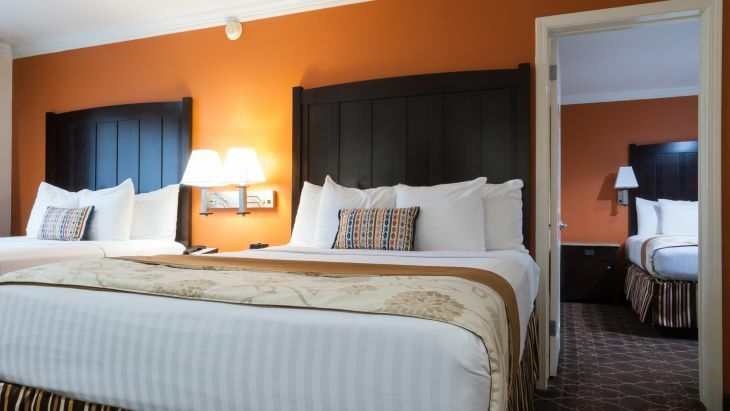 This spacious choice in accommodations near Disneyland includes two queen beds plus a third queen bed in a connecting room. If you are traveling with family, this makes a smart and affordable choice for your group. This hotel room in Anaheim also offers free Wi-Fi, free hot breakfast daily, premium cable, and a refrigerator.